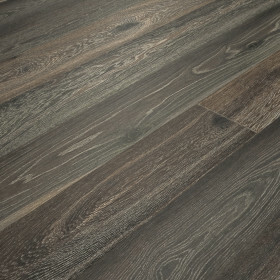 Vintage Alaska just has that perfect blending of grey and brown undertone plus a lightly scraped and wire brushed texture. 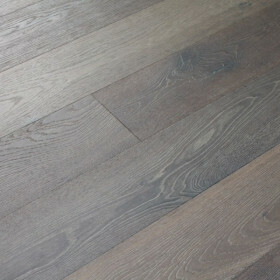 The floor looks even better on a large scale after install. 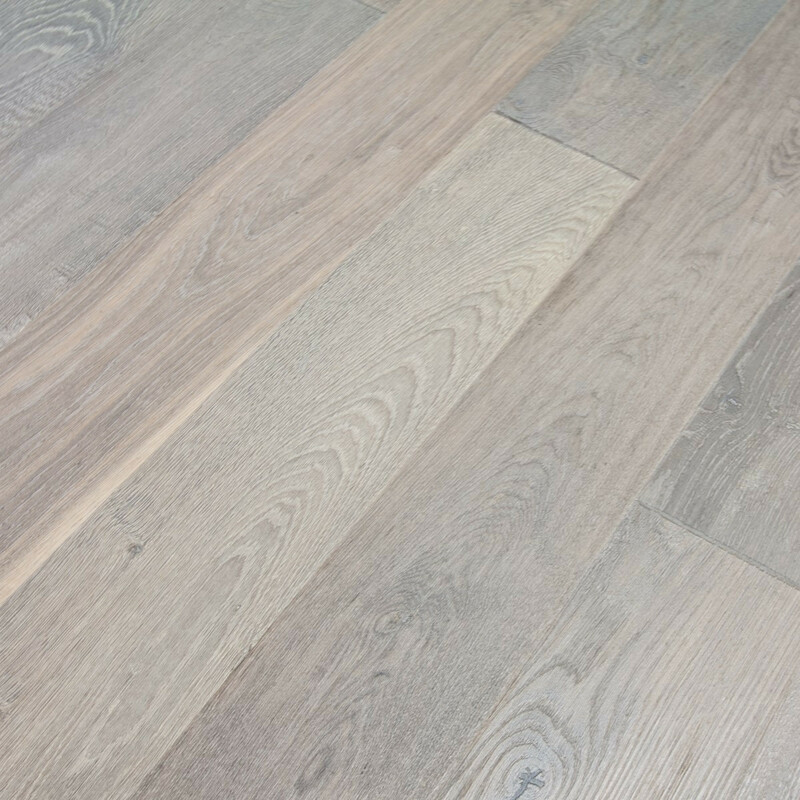 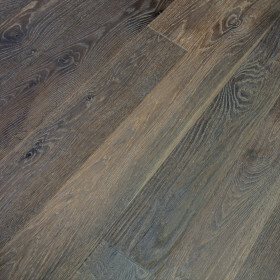 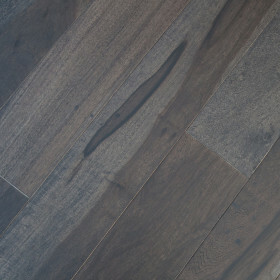 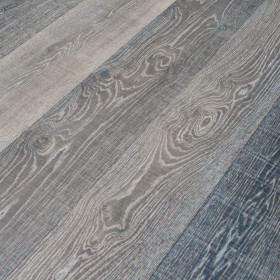 The structure of this flooring is unmatched and the reactive staining process gives the floor depth of colors which is rarely found in traditionally stained hardwoods. 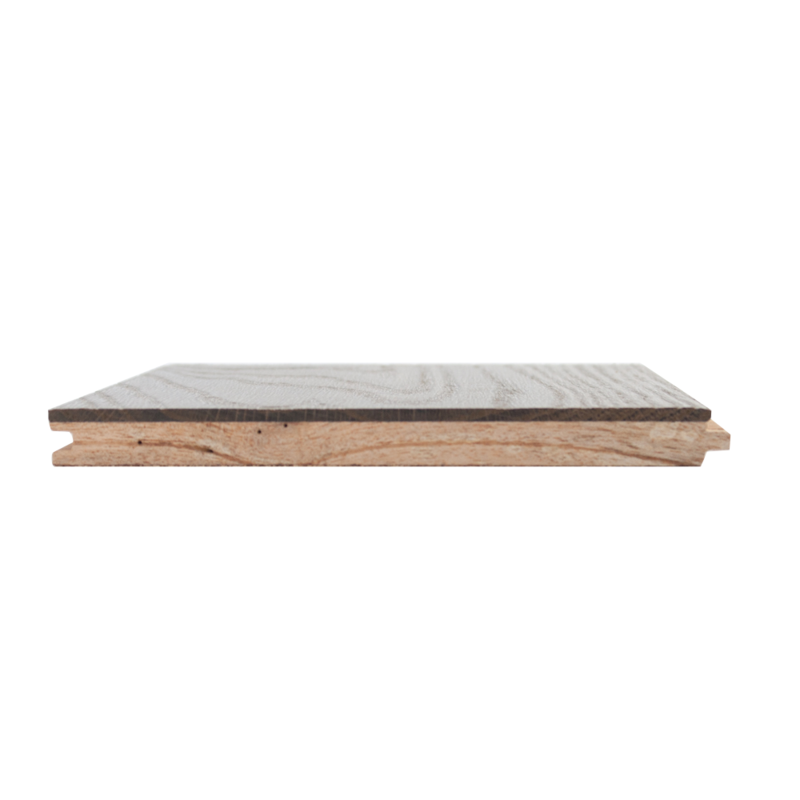 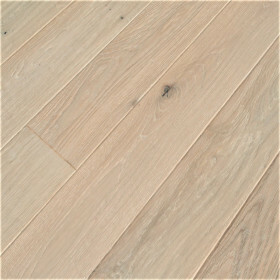 The Vintage Alaska offers a soothing cool tone which enhances and draws focus to surrounding wood work. 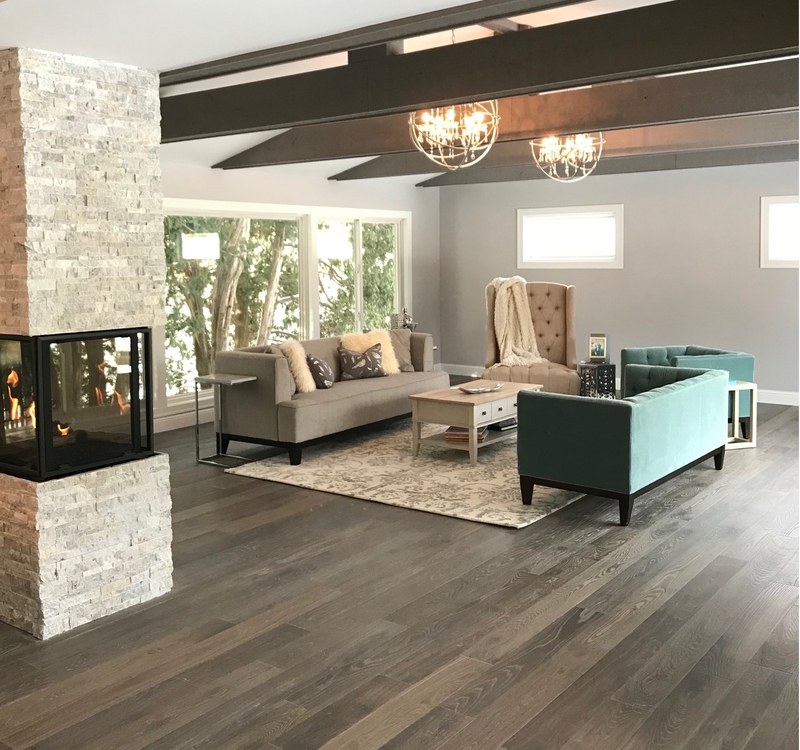 Ranging from a white washed brown to a grey tint, Vintage Alaska has quickly become a favorite amongst designers for its powerful statement and complimentary style with many modern decors.